Florencia’s case was really an interesting one. 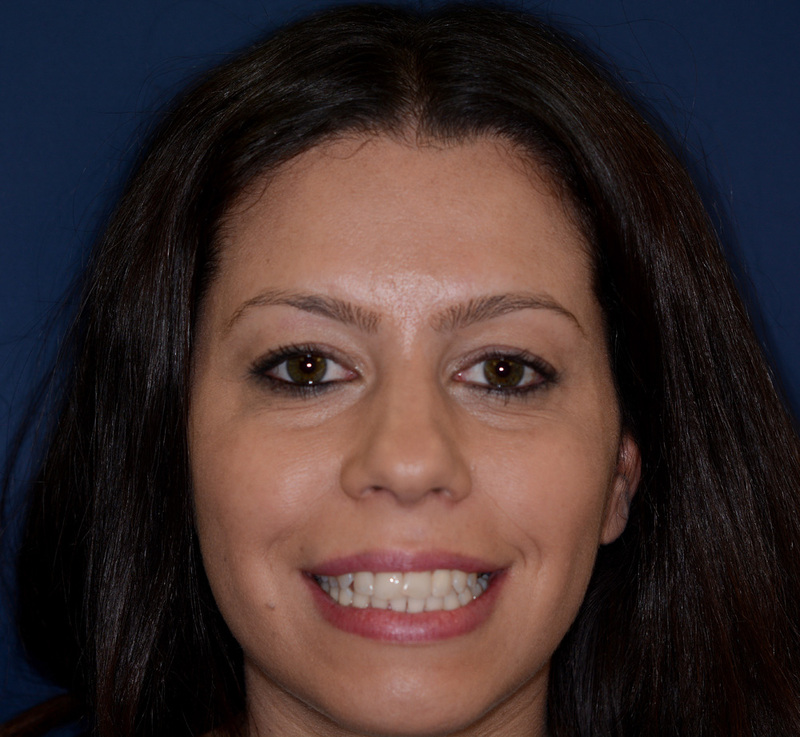 She had braces in the past and had not had the ideal end result. Her UL1 was overlapped and the UL5 was in a cross bite. 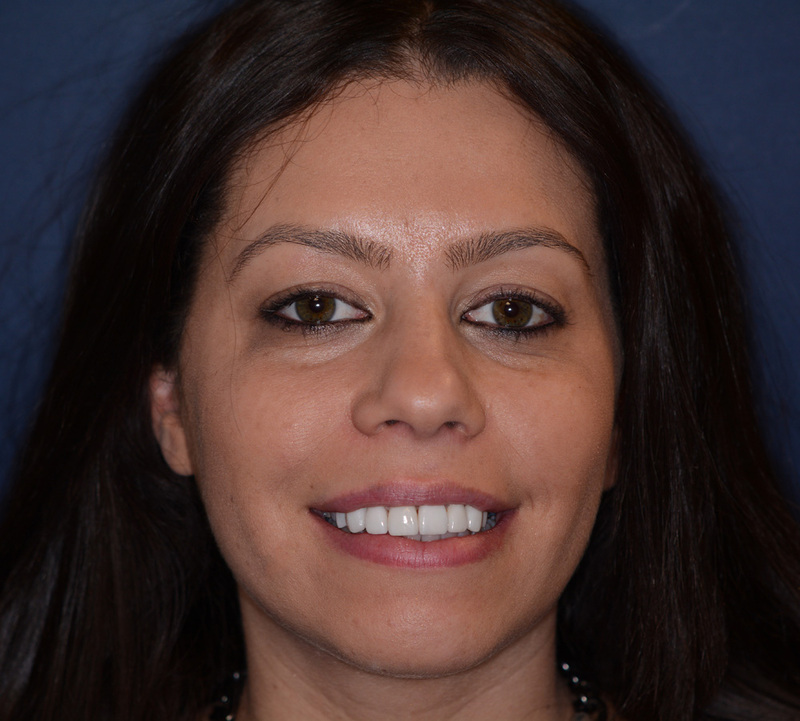 The ideal treatment option was to reconsider fixed braces again, but the patient was NOT keen on this option. After careful discussion between Donna (the dentist) and Florencia, it was agreed to do eight porcelain veneers on the Course. Lower teeth whitening had been done already. A clear acrylic stent with windows was made – this helped doing the initial tooth preparation BEFORE using the wax ups and a putty index (Galip Gurel technique). 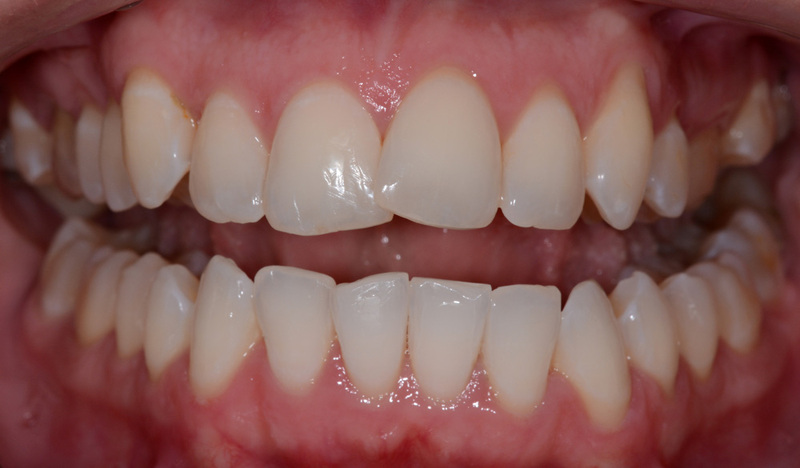 A soft tissue diode laser was used selectively to enhance the gingival zenith positions. 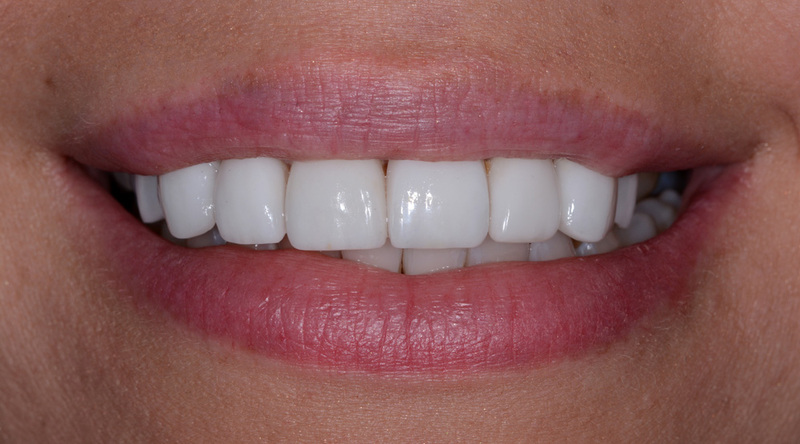 The trial smile was created with BL Luxatemp, as the patient wanted a “white glamorous smile”. The interesting challenge at the review appointment was when Ash had to use all of his cosmetic skills to help Donna achieve really outstanding temporaries, due to the patient’s high aesthetic expectations. This was a “master class” in refined adjustments on how to make a good smile look great! Donna was really pleased that Florencia liked the temporaries in the end. It was then down to Ian Taylor at Castle Ceramics to create a natural, white and glamorous smile, which he did. The shade selected was OM1/OM2 with minimal translucencies, light texture and polished gloss. Donna delivered a great case, and the patient looked amazing at the end!